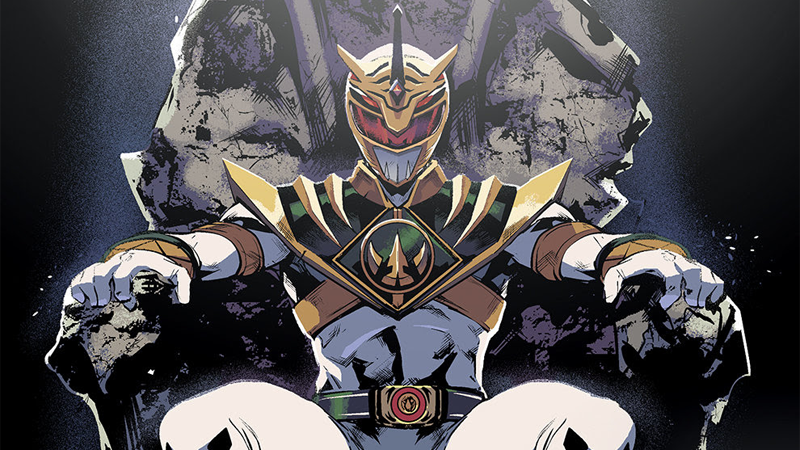 Late last year, Boom Studio’s ongoing Power Rangers series shocked fans with the revelation of a major new player pulling the strings behind the comic’s ongoing story: that Rita Repulsa was working with a sinister new ranger ominously called Lord Drakkon. But it turns out that’s not his real identity, which was revealed in today’s issue. io9: When you first started creating Drakkon, what came to you first—the idea of an alternate Tommy, or a new “evil” ranger? Kyle Higgins: They kind of went hand in hand. The first year of stories has been focused on Tommy’s introduction to the team, which meant that culminating with a story where he never left Rita’s side felt like a natural progression. From there, we started playing with the idea of introducing Evil Tommy as the White Ranger... but as I really got into Drakkon’s story, it made sense for this version of Tommy to be a combination of the Green and White Ranger. So, a new Ranger was born. How will Tommy react to seeing his alternate self as an evil ranger? Higgins: Well, the obvious area you get into with something like this is... will I become that? Or, what’s keeping me from becoming that? There’s an aspect of that reaction with our Tommy, but it’s more complicated than that. Particularly when we— and Tommy— learn about how Drakkon came to be. Of course, the other side of this— which no one has really talked about yet— is what does Drakkon think of Tommy? What can fans expect to learn about Drakkon’s past in these next few issues? Higgins: There’s a reason we combined the Green and White Ranger powers. That’s a huge part of his backstory, as is his decision to stay by Rita’s side. There’s a few interesting hints at Power Rangers season 2 in this issue—Saba, the ruined Thunderzords. Were they simply fun nods for the fans in this alternate universe, or perhaps a hint that the comic might start moving beyond “season 1"’s timeline? Higgins: I plead the fifth! For now, only Billy and Tommy know of Drakkon and his identity. How will the rest of the Rangers react to the revelation, given some of them still have conflicted feelings about “their” Tommy’s past under Rita’s spell? Higgins: Good question. Readers will have to pick up the next few issues to find out! Power Rangers #11 is in stores now.